Banks have taken it on the chin over the past several years. But after suffering from a long spell of bad credit card loans during the recession, they are finally getting some positive results from their credit card divisions. With their success in cutting losses, you'd expect that those credit card companies would be racing to offer new cards to customers. Unfortunately for millions of Americans with improving but still shaky credit, most issuers are taking the opposite approach by continuing to shut many customers out. 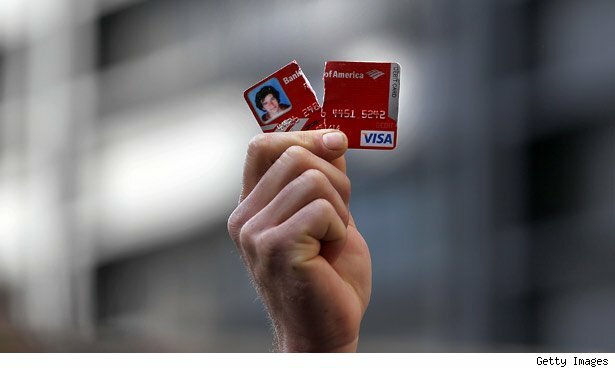 In response to the financial crisis, as delinquency rates soared, banks canceled many card accounts, reduced credit lines on others, and were quick to write off losses. It worked. Now delinquency rates have reached extremely low levels -- the current rate is less than half what it was in early 2009. This is the time when banks would typically reach out for more customers. New regulation, however, has given credit card issuers less latitude to charge high rates and fees on those with less-than-ideal credit, and many banks have apparently decided that those customers aren't worth the risk. Instead, banks have targeted less-creditworthy customers for other products. In particular, prepaid cards represent a chance to serve a group of customers that hasn't had much access to traditional banking services. With the opportunity to charge higher fees than they can on other cards, banks are looking to expand their prepaid card business as an answer to credit- and debit-card regulation. It's possible that when a stronger economic recovery emerges, banks will once again move more aggressively into the credit card market. But for now, card issuers are holding back -- and millions of potential customers could have to resort to less attractive alternatives. Motley Fool contributor Dan Caplinger finds the ebb and flow of the credit card business fascinating. You can follow him on Twitter here. He doesn't own shares of the companies mentioned. The Motley Fool owns shares of JPMorgan Chase.